In 2016 the bank invested in Ukraine 400m euros, mulls increasing in the following year. 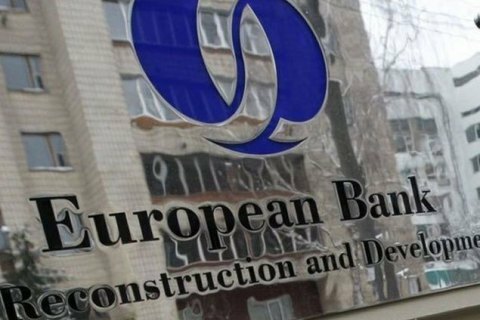 The European Bank for Reconstruction and Development in 2016 invests 400m euros in Ukraine, a 2.5-time drop over the previous year, the bank's president Suma Chakrabarti said during a meeting with Prime Minister Volodymyr Groysman on 28 November. "In 2016 the bank is investing in Ukraine 400m euros, but this amount may be increased the following year. In particular, the EBRD will focus on reforms in the ministries and departments in order to strengthen and develop their institutional capacity," Chakrabarti said as quoted by Interfax Ukraine. In 2015, the bank exceeded the milestone of 1bn euros of investments in Ukraine. The Managing Director of the Bank for Eastern Europe and the Caucasus Francis Malige in the middle of February 2016 said he hoped that such level funding can be maintained in 2016. "This is our investment capacity, this is how much we can invest in Ukraine, but the success will depend on the coordinated work of all branches of power and the availability of reforms. Otherwise one can hardly count on the active work. This does not mean that the bank is going to wrap up its activities here, but this will certainly affect the volumes," he said. The chief economist of the bank, Sergei Guriev said that the reduction of the size of projects in the current year was due to the fact that the bank opened a 300m dollar revolving line of credit to Naftogaz Ukraine for the purchase of natural gas, while the World Bank gives Naftogaz money for a project worth 500m dollar this year. The EBRD is the largest financial investor in Ukraine. Since the beginning of its operations in Ukraine in 1993, the bank has taken obligations to provide Ukraine nearly 12bn euros in 369 projects.